This paper analyzes the line occupation effects on traffic capacity, and establishes ANOVA model and multiple regression model built on differential equations based on the video data, and do qualitative analysis and quantitative calculations for results. Firstly, the data which was associated with road capacity was obtained by observing the video; then through MATLAB, inter-polation fitting was done. Secondly, it established variance analysis model, and then explored the impact of different occupied lanes on traffic capacity. 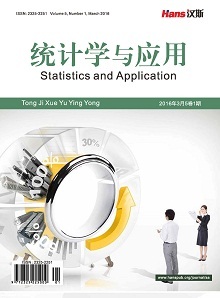 Then by using the differential model, the re-lationship among vehicle queue length, traffic capacity, traffic accident time and traffic flow was obtained. In the end, combining the theory of model with practice, the duration of the actual acci-dent was calculated. 王松桂, 陈敏, 陈立萍 (1999) 线性统计模型—线性回归与方差分析. 高等教育出版社, 北京. 姜启源, 谢金星, 叶俊 (2011) 数学模型. 第四版, 高等教育出版社, 北京. (1991) CJJ 37-90, 城市道路设计规划. 中国建筑工业出版社, 北京. 贾晓敏 (2009) 城市道路通行能力影响因素研究. 硕士论文, 长安大学, 西安. 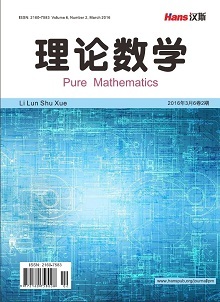 杨桂元, 朱家明 (2013) 数学建模竞赛优秀论文评析. 中国科技大学出版社, 北京. 陈华友 (2008) 组合预测方法有效性理论及其应用. 科学出版社, 北京. Koorey, G. (2002) Assessment of rural road simulation modeling tools. IPENZ Transportation Group Technical Conference, 1-12. Heydecker, B.G. and Addison, J.D. (2011) Analysis and modeling of traffic flow under variable speed limits. Transportation Research Part C, 19, 206-217. 周学农 (2006) 排队长度模型比较及动态方法研究. 交通运输系统工程与信息, 2, 92-95. 张世强 (2002) 曲线回归的拟合优度指标的探讨. 中国卫生统计, 2, 9-11.